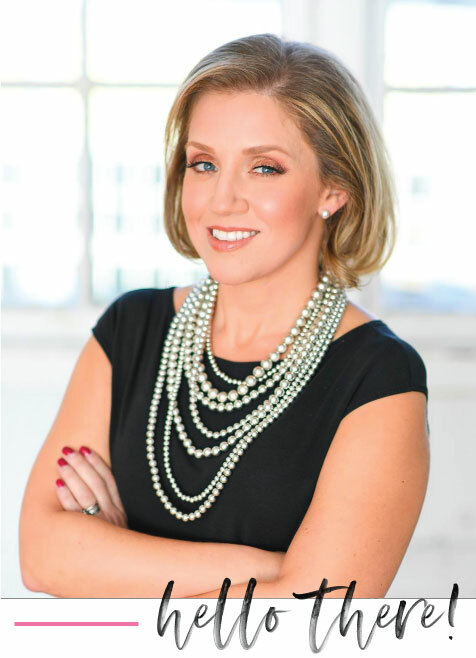 I’ve never met her in person but she inspired the hell out of me in business, motherhood and life. She was my favorite designer because I felt like she completely got me with her colorful, bold, fun and classic bag designs but I also loved every interview she did because she was always so authentic. Mostly, I respected her so much for her decision to take a 10 year hiatus from the brand and empire she built to raise her daughter and only focus on her being just Mom. I know that decision was not an easy one for her, but she also let people know she didn’t miss a thing about business during that time off because she loved so much of the time she was getting with her beautiful daughter. And then yesterday, I get the notification on my phone that this woman that I have always loved and admired had passed away at only 55 years old and that it was because of an apparent suicide. I just couldn’t believe it. I didn’t know her personally, but my heart hurt for this loss for so many reasons. All I could think about was the great loss and pain that her daughter and family now have to endure. I also thought about the personal hell and torture she was obviously going through before that moment where she decided to end her life. Her head was so clouded and her soul was so pained that she could not see any other way out. It was revealed this morning that she had been suffering from mental illness for years and when encouraged by her sister to seek help, she worried about what her getting help would do to her brand. That’s even more heartbreaking to me. 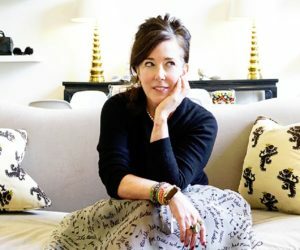 Sadly, I know it’s all too late for Kate Spade to make the decision to put herself and her family first before what others may think, but I believe there are so many women, like myself, that can just imagine the emotional hell she was going through for so long. For years I was the biggest control freak, a perfectionist and I never wanted anyone to see all of my many flaws. My head was the most torturous place to be. I was an insecure mess. I cared constantly about what everyone thought of me and how I was perceived. It was physically, mentally and emotionally exhausting. I was seriously depressed but I wouldn’t let you ever know that. Because my earlier years of life had not been the easiest, I had a major chip on my shoulders. But at the same time within that controlling, perfectionist, insecure, angry and torturous mind there was also this person inside me that loved and cared so deeply, was seriously fun and enjoyed laughing more than anything in the world. I believe this is why I cannot stop thinking about Kate Spade’s tragic death and the immense pain she must have been going through. I get that type of pain. I understand that things in life can either make you or break you. When the pain already seems unbearable and life throws more pain your way, it’s hard to see how anything could possibly get better. I can tell you that my son’s diagnosis is when I came undone. This is also why I will always say that Sheamus saved my life. Years of putting on the facade (and not very well) that I had it all together and was “ok” had become impossible. Autism and a ” perfectionist, forever-planning, control freak” do not work well together. Oh, I tried to fake it for a bit until it all fell apart. Now, at first, my pride wouldn’t let me admit that I needed help. I’m not talking just about an extra set of hands around the house and in life but I’m talking about serious therapy and some mental health help. It was either I get the help I needed, or I lose it all. Now, of course me losing it all doesn’t consist of billions of dollars and a beautiful, designer brand that all women want to wear or carry around, but “losing it all” means different things to different people and THAT is what is SO important to understand here. WE’RE ALL EQUALLY IMPORTANT AND MATTER JUST THE SAME. If I didn’t seek the help I needed, I would have most certainly have lost my marriage, my beautiful family that my husband and I have created and a life that I didn’t get to experience in my earlier years. So when I journal daily what I’m grateful for, I always list (in addition to many other items on that list), “God, Prozac, and my husband”. I think God and Prozac are so understandable, but when I list my husband, it’s because he always saw who I really was underneath that tortured soul and never gave up on me. I also had a great therapist that helped me finally talk about so much I never said aloud. I can tell you that this combination for me has been life-changing. I’m so happy that when I hit rock-bottom, I finally admitted it. I get sad when I think about how many years I wasted living in that hell because I was too proud and to ashamed to seek out the help I needed. I can’t help but think that some of these thoughts went through Kate Spade’s mind regularly whenever she contemplated getting the help she needed. I bet she feared how people would question her strength, her authenticity, her abilities as a mom and business woman. I wish I could have told her that her admitting she needed the help would have made me appreciate her and love her so much more than I already do. I know that her admitting that struggle and letting others know that you can be an incredible human with amazing gifts and still need help would have helped others more than she could have known. She feared how people would perceive her strength and sanity. She must have thought that admitting she was struggling would have somehow undone all of the incredible achievements and lives she had touched in her 55 years on this earth. That was so not the case. I’m so sorry that her pain was so powerful that it impaired her being able to see that could never undo years of a life well-lived. So if you or anyone you know is struggling, there is help. And if the struggle gets so unbearable that you do not think you could do one more day of this life, I BEG you to remind yourself that is just the pain talking and not reality. You are AMAZING, your pain is temporary and can get better with help, I PROMISE. It may not be overnight, but it will come. YOU ARE NOT WEAK, if you seek help. YOU ARE ACTUALLY SO STRONG. So much stronger than what you may feel right now. Please do not give up. May You Rest in Peace, Kate Spade. I will remember you exactly how you’d hoped you would be remembered.